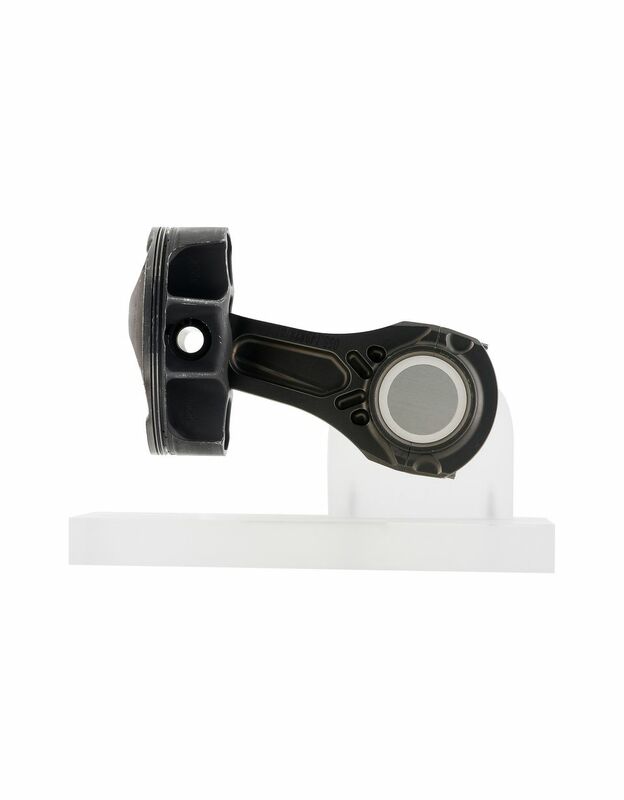 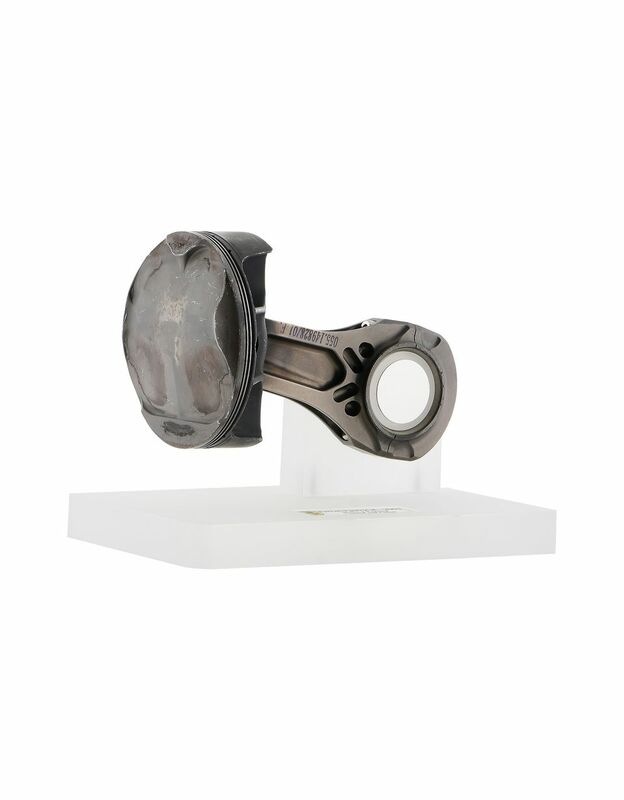 The original connecting rod and piston of the 2003 F2003GA housed in an elegant gift box. 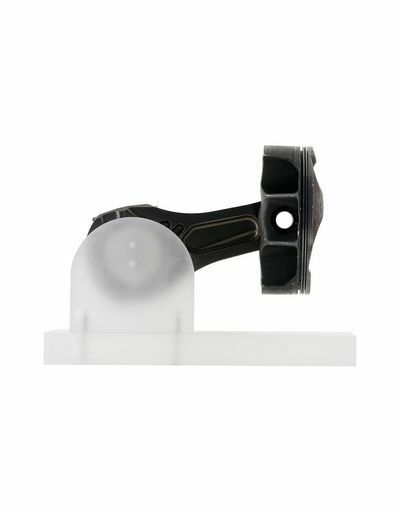 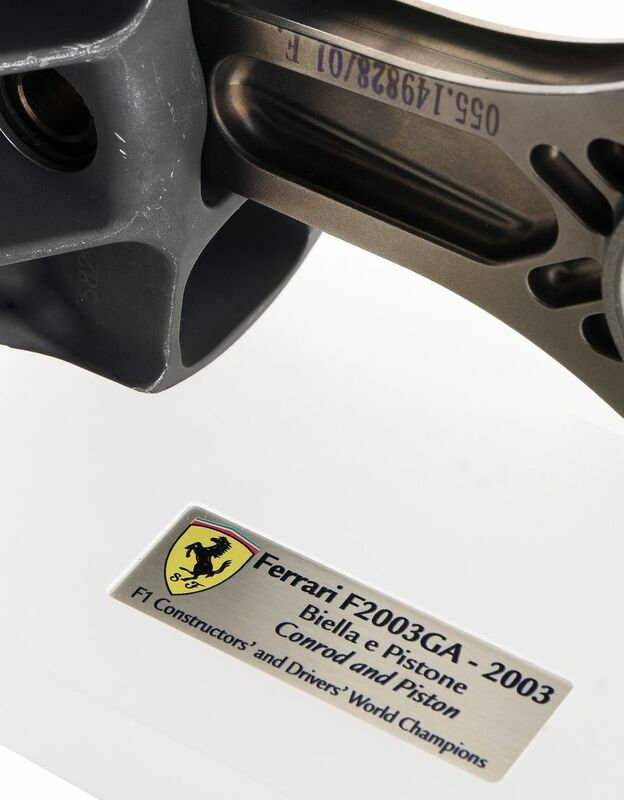 Certified by an declaration of authenticity signed by the Scuderia Ferrari Team Principal, the connecting rod and piston are displayed in an elegant ice-effect satin finish Plexiglas case, personalized with a metal plate bearing the logo in five colors, the name and the year. 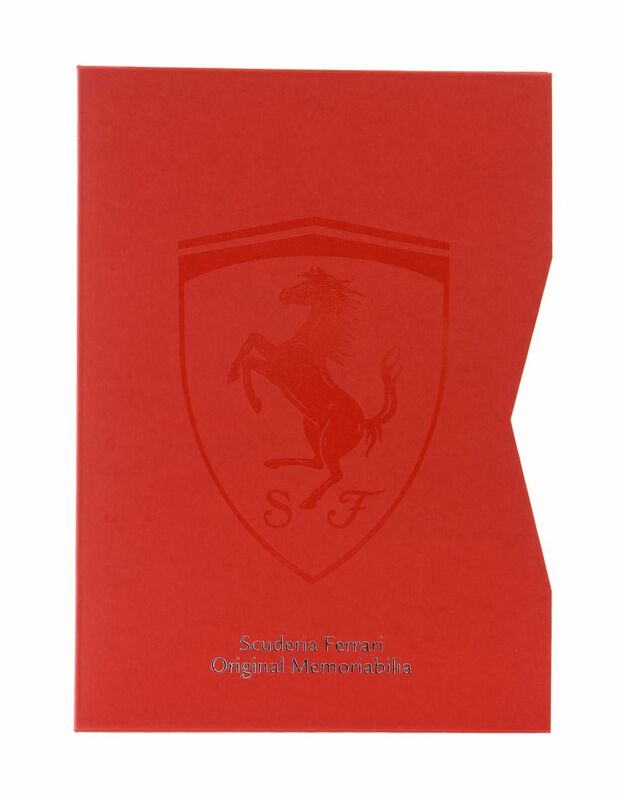 These essential collectibles come with a red box with vertical hinged construction, lid and logo.